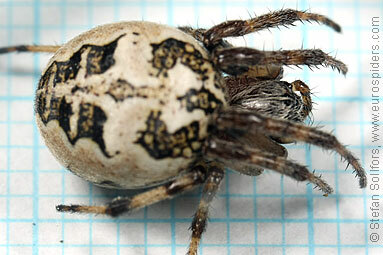 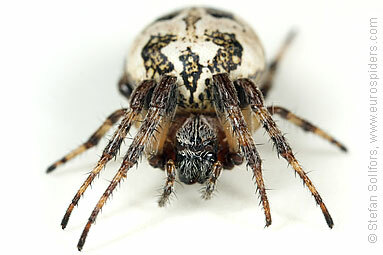 Female Larinioides cornutus, head-on view. 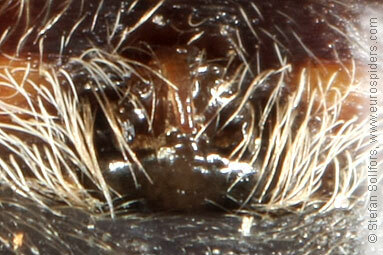 Female Larinioides cornutus, close-up of the eyes. 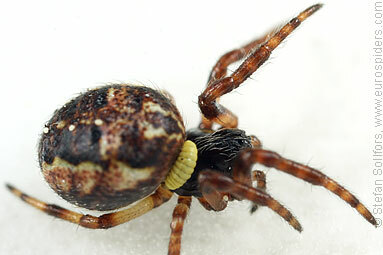 Juvenile Larinioides cornutus with a yellow parasite larva. 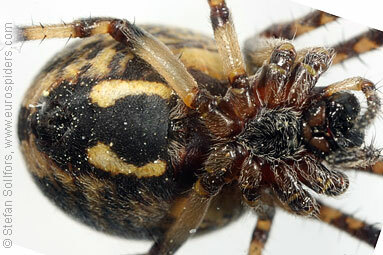 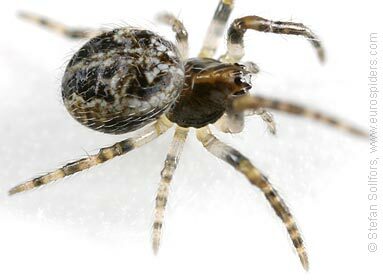 Female Larinioides cornutus from below. 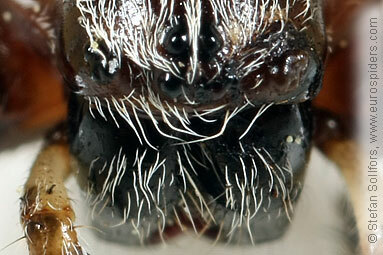 Female Larinioides cornutus, close-up of epigyne. 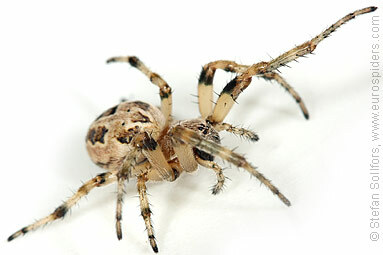 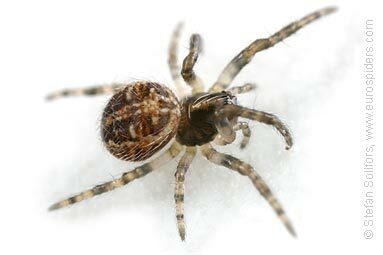 Female Larinioides cornutus, 10 mm long. 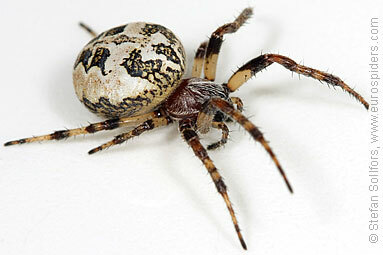 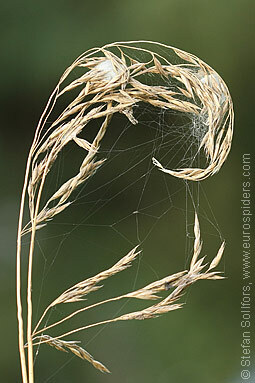 The Furrow Orb-weaver, Larinioides cornutus, are often found near water.